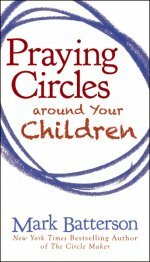 From author of The Circle Maker comes Praying Circles around your Children. Mark shows how prayer can be your secret weapon as he shares five prayer circles that will help you not only pray for your kids but pray through your kids. 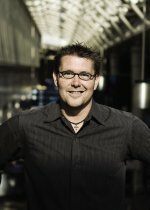 "Based on his New York Times bestseller, The Circle Maker, Mark Batterson shows ordinary parents how to become extraordinary influencers in the lives of their children through prayer in Praying Circles around Your Children. You'll never be a perfect parent, but you can be a praying parent!" This is a small book with an overwhelming wealth of information on praying for our children! Fantastic, practical ideas that you can implement immediately! "Your prayers will shape the destiny of your family for generations to come"
I have 2 copies to give away of this great book!! Easy entries for you! Leave your name and email in a comment and you are entered. Giveaway ends Feb 2nd at midnight. "I received this book from the publisher in exchange for an honest review." tarter95 at hotmail dot com.. Prayer is so important, especially for our children! I'd like to win this intriguing book. Thanks. I Can Read from Berenstain Bears 3 new books! I have some Green Confessions to Make! END IT: Shine a Light on Slavery!! G & L Clothing for 95 years!